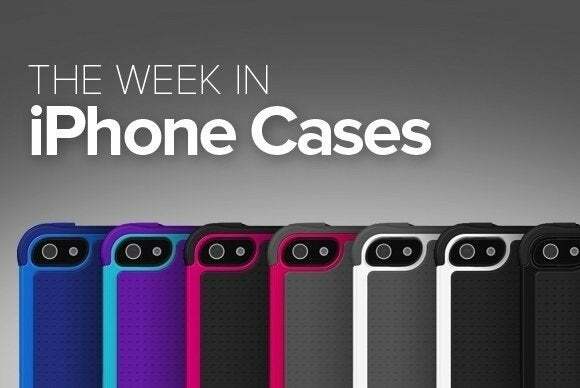 This week’s roundup of new iPhone cases includes a bunch of different bumper cases, plus traditional hard-shell cases that are both sleek and lightweight. 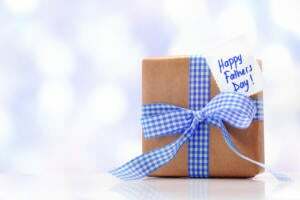 Bumpers from Evolutive Labs, Grovemade, Poetic… and more! 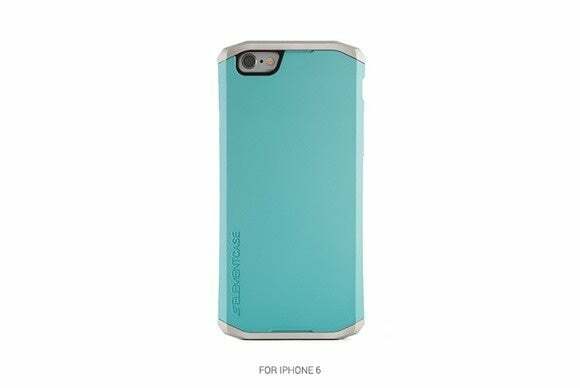 The Solace (iPhone 6 and 6 Plus; $100) features a lightweight figure with removable top and bottom crowns for easy installation and additional protection. 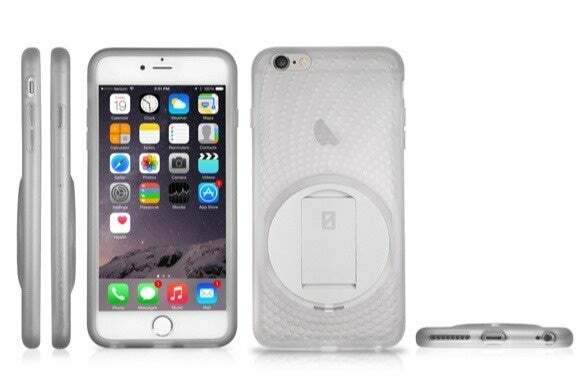 This polycarbonate case sports press-through button overlays and reinforced aluminum corners to help prevent unwanted damage and smudges. It comes in gold, alpine white, turquoise, or carbon black, and the iPhone 6 version includes a sleeve where you can stash your iPhone when it's not in use—a perfect accessory, if you keep your phone in a purse or bag. 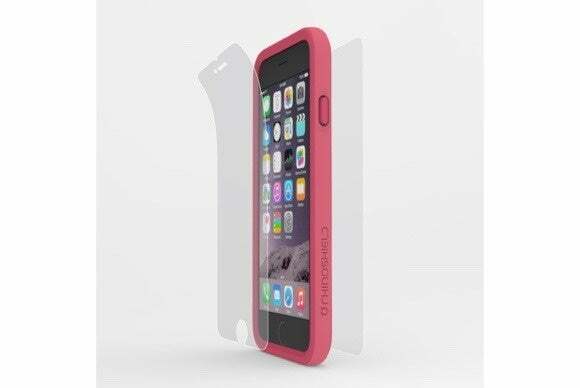 The Rhinoshield Crash Guard (iPhone 5/5S and 6; $50) is a bumper case that Evolutive Labs says is designed to protect from falls of up to 20 feet. 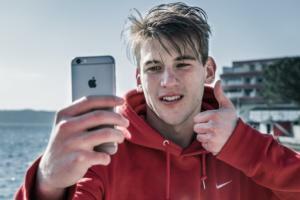 The bumper provides precise cutouts for the iPhone's buttons and ports, and comes with both front and back screen protectors to protect the rest of your iPhone from scratches and smudges. The Crash Guard is available in a number of eye-catching colors, including pink, purple, black, white, orange, and teal. 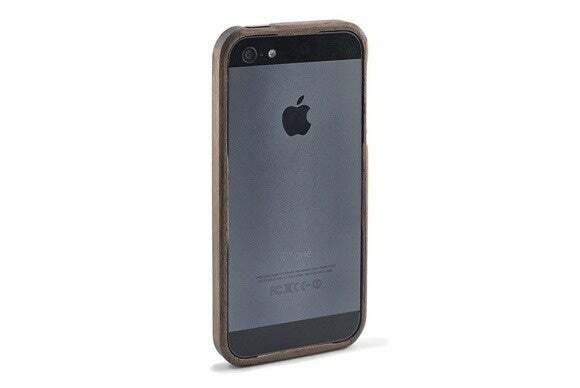 The Walnut Bumper (iPhone 5/5S, 6, and 6 Plus; $40 to $70) is a minimalistic case—it's a bumper, so it keeps your iPhone's vulnerable edges protected while not adding additional bulk. Made with real walnut wood, it features precision joints for easy installation and additional protection, includes matching press-through button covers, and uses an eco-friendly manufacturing process that minimizes waste. The AluFrame (iPhone 6; $40) combines a rugged back cover with an aluminum frame to provide better grip and extra damage prevention. 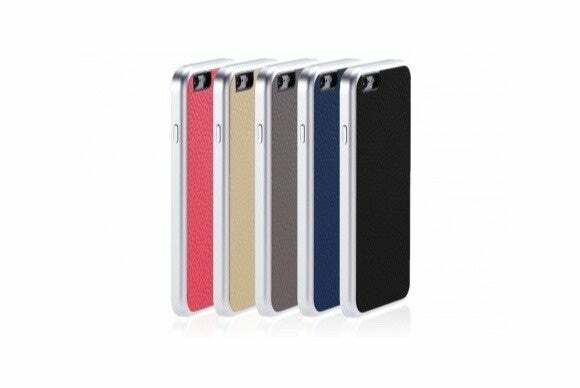 The case features precise cutouts for your Lighting port, camera opening, and headphone jack, includes press-through button covers, and comes in five solid colors—black, blue, gray, beige, and pink. 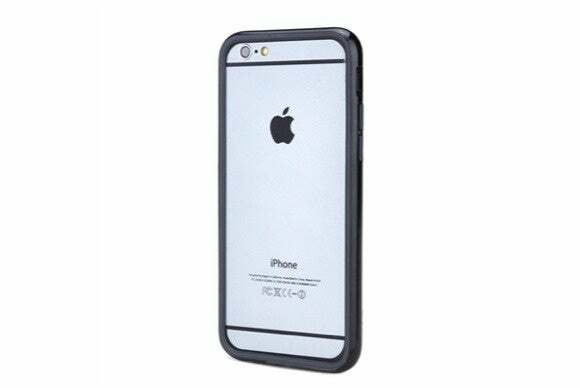 The Borderline (iPhone 6; $15) is a two-toned bumper case (available in black/gray or white/gray), built to show off the iPhone's sleek design. Made of TPU and polycarbonate, the Borderline sports raised edges to keep the iPhone's display and back safe when laid down flat. Minimalists will surely love this bumper's no-frills design. 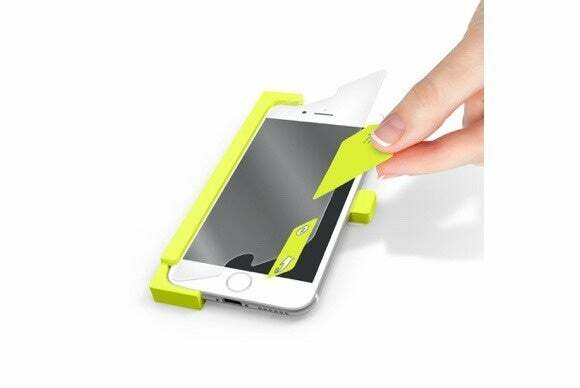 The Alin (iPhone 6; $20) is a screen protector bundle, which includes three clear screen protectors, an anti-glare screen protector, and a cleaning cloth. Best of all, it also ships with an allignment tool and a smoothing card, to make sure your screen protector goes on evenly and doesn't form any annoying air bubbles. Both the anti-glare and clear screen protectors keep your screen safe from scratches and smudges, and shouldn't interfere with your screen’s brightness. 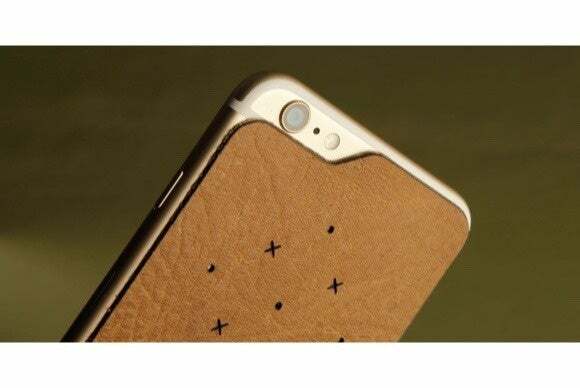 The Leather Back (iPhone 6; $40) is a skin made just for the back of your iPhone, featuring premium Argentinian leather that provides a good grip. The skin features a custom cutout for the iPhone's back camera, and includes an adhesive backing that doesn't leave any residue when removed. The Leather Back comes in nine solid colors that age differently over time for that “one-of-a-kind” look. The Vario Protect (iPhone 6 Plus; $40) sports a rugged design with a rubberized, anti-slip texture for easier handling—thus, less chances of accidentally dropping your iPhone. 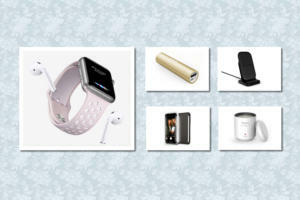 The case features a semi-transparent back and a sturdy exterior shell, and comes in black, white, pink, blue, or orange. The Vario Protect includes a rotating stand that supports multiple viewing angles in both portrait and landscape orientation—perfect for endless hours of watching videos, playing games, and reading the news. The Protector (iPhone 6; $20) has all-around protection in mind, combining a hard-shell case with a screen protector to create the complete case package. 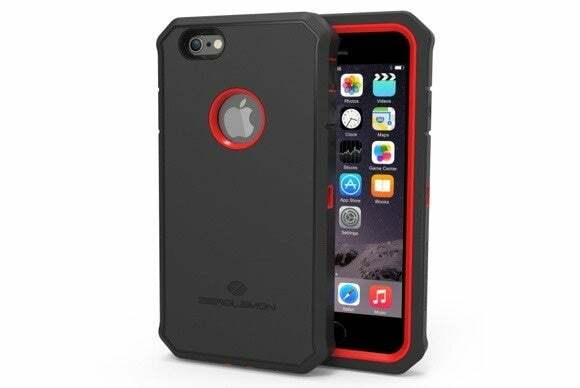 This triple-layered case is designed to prevent damage from serious shocks and drops, and the screen protector is fully compatible with your iPhone’s touchscreen. It even comes with a belt clip that also turns into a handy kickstand with a quick swivel.